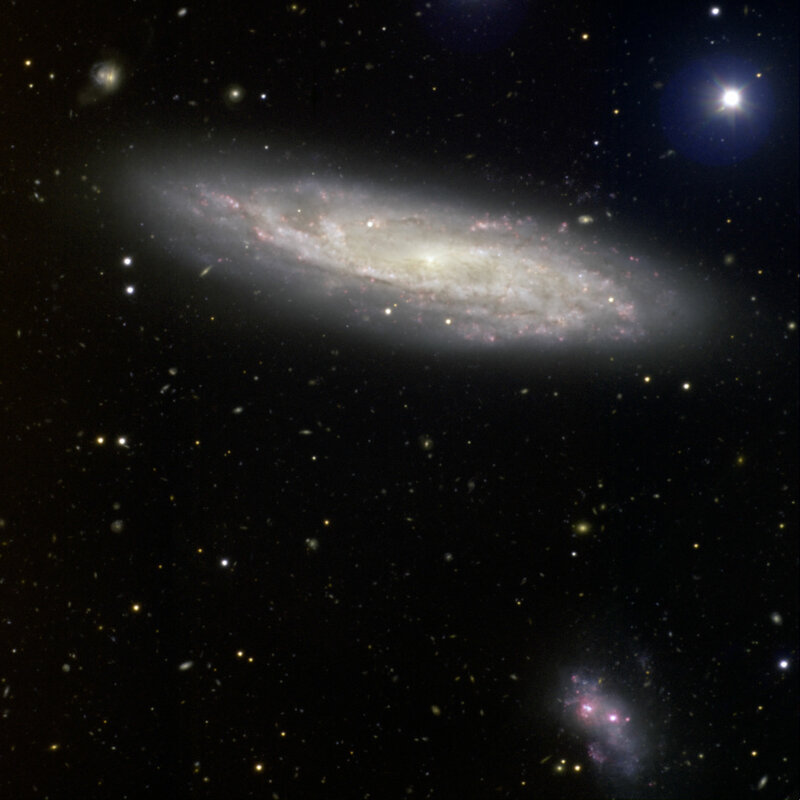 NGC 2770 is a edge-on spiral galaxy known for harboring several recent supernovae. To the lower right, the image also shows a suspected companion galaxy that is thought to be interacting with NGC 2770. It is suspected that these interactions sparked the formation of massive stars and the resulting supernovae activity.